MAMAMOO have revealed the schedule for their comeback with their 'BLUE;S' album. After their carefree teaser image, the girl group have detailed their schedule plan for their comeback. 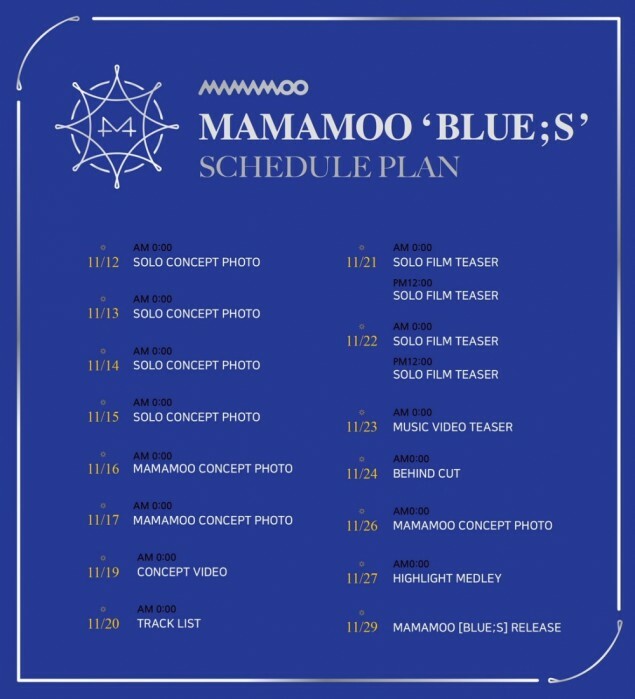 Fans can expect a ton of teasers leading up to the official 'BLUE;S' release on November 29 with their first concept photo on November 12, a concept video on the 19th, and music video teaser on the 23rd. Stay tuned for updates on MAMAMOO's comeback!